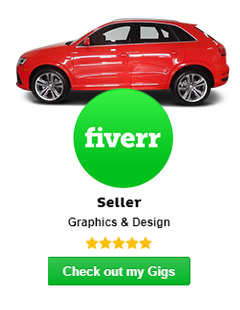 Car Photo Fix service is really so much demandable for Automotive dealers or New and Used Car seller. Inventory management and Auto Traders are always gathered raw images for presenting their ongoing Car selling the business. After finished automotive photography, they need to depend on automotive image enhancement or Car photo editing service provider. But this is the tough moment for them to choose high-quality service provider of car photo fix. Actually, this is not a matter if you get in touch with- Car Pics editing. Because this is a high quality based car photo fix company which is arranged a lot of services to service automotive dealers or car seller. Car Pics Editing aimed is Client satisfaction. First, they approved their service quality by completing a client’s Free Trial image. 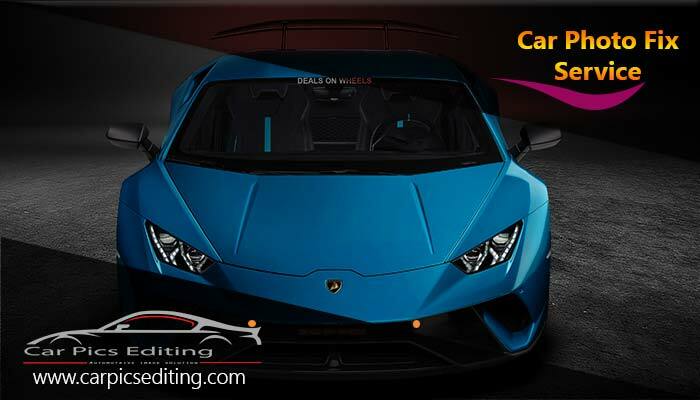 Car Pics Editing– Company established in 2012 for solving the high-quality demand of Car Photo Fix services. We are born to lightening your growing business in Automotive or Inventory management sector. Generally, this company provides their services all over the world in a branded company like- Honda, Mercedes Benz, Subaru Dilwari, Ford, Toyota and more. Dealers are more confident to work with this company for their large number of expert designer and fast delivery system. CPE- Team always ready to serve any inventory or automotive dealer car photo fix project in very quick turn-around within 24 Hours. Car pics editing- arranged all types of Car photo enhancement services like- Car clipping path service, Automotive background replacement, Car color correction, Automotive photo retouching, and car high-end retouching service, Inventory dealers template changing, Logo replacement, Automotive advertising banner, and information note adding and more. Clipping path service is a process which is used for high-quality background replacement service or background cut out with transparent mode. This service is a need for Automotive/Car Background replacement service. There are many ways to remove the background from an image but the Pen tool clipping path service is a unique and actual way to make perfect photo cutout. 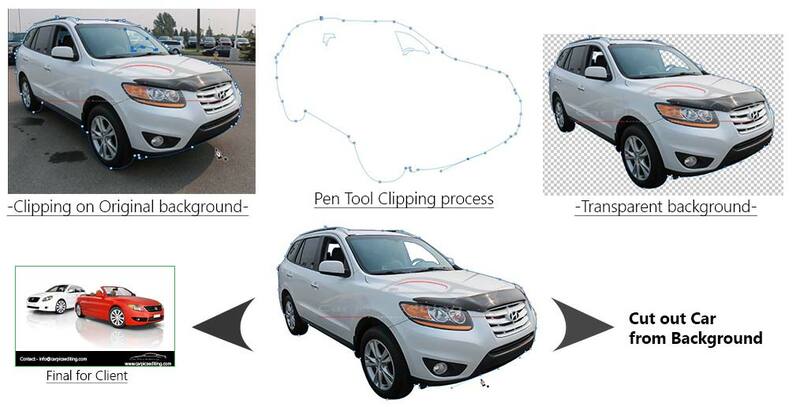 Car Pics Editing offer you 100% Hand used Pen tool works by Photoshop. After automotive photography, we need to make our inventory looks more gorgeous and attractive for touch up the buyer needs. We make your car background more attractive which is look like natural and profession. We use different background or template which are unique and this background is made by our creative designer. So, we are the best quality service provider for your Car photo background replacement project. Automotive photographers are captured raw images for your online selling inventory/cars photos. After that this images need to be edit. In that point Car Pics Editing- always stand for providing you top class post-processing of automotive photography photo editing services. Capture your car and make it so much eye-catchy with applying the high-end Car photo retouching service. Automotive photo retouching services are high-quality works which need to accurately done by a professional designer or photo editor. Car Pics Editing– get ready to provide such as a special team whose are always get ready to serve you this service. Templates are like a brand message of your company. So you make a sure high-quality template with a professional look for your inventory store. Car Pics Editing– provide you unique template or accurately attach your given templates and Logo. Place your company’s or brand’s information on your inventory template. Text up information on creative banner design or note plate. We make sense that your company is a brand selling target and we care it more for making your sell double. Why are you getting late! Just get in touch with us and ensure your best quality car photo fix services.